A convenient feature of standard wordpress.com blogs is the stats page. It shows a wealth of traffic information — how many page visits you get in a day, what posts people viewed the most, the links that were clicked on. I’ve spent many an hour* looking around that stat page. One of the more interesting features is the Search Engine Terms section. It shows the search terms that people typed to get to your site. Some are standard, mundane searches. As I’ve mentioned in a previous post, I get many searches for The Blood of the Horde by Tooth. Others are just plan strange — the search “oh no im a horse” leads me to wonder what, exactly, they were searching for in the first place. However, some searches are not just random. They are a search that are asking a specific question, or at least are alluding to a question that could be answered. Perhaps you could call them… search term solicitations**. And since these searches made it to my blog for one reason or another, I might as well try to answer them to the best of my knowledge. So I’m starting a hopefully permanent series of posts*** that will attempt to answer search term questions. It didn’t take me long to realize how these searches got to my blog. I had written an RP-post with Cielstrasza, the Wyrmrest Accord Quartermaster, in it some time ago. 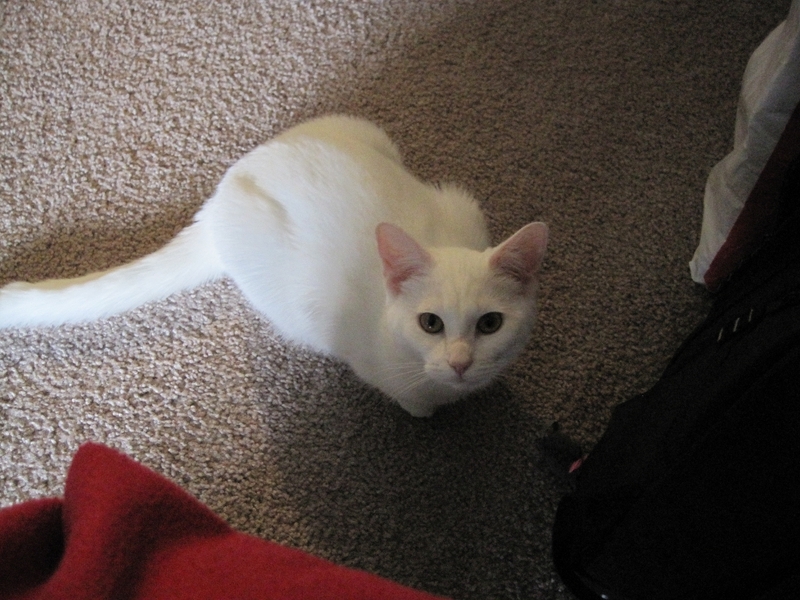 But I wasn’t sure why people couldn’t find her. As far as I knew, she was still on top of the tower in Dragonblight. In fact, I checked the standard WoW information sites, and nothing mentioned that she had moved. So I paid little mind to these searches, thinking that it was just one or two people who for some reason couldn’t find the information Cielstrasza elsewhere. Except that the searches kept coming. “Alright, self,” I thought to myself in a tough-guy detective voice, “there’s some funny business going on here.” I made a mental note to check it out. A few weeks passed and I happened to be in Dragonblight to do a guild OS run. **** I made a quick flight up to the top of the tower (as I was the first one there — thank you, Kirin Tor Ring!) to check out Cielstrasza… and this is what I saw. Can YOU find the rep vendor in this picture? “Ah ha! That’s why some folks are having trouble finding her — it’s because of one of those silly guards standing in the wrong place!” I thought to myself triumphantly. Some of you may remember this happening before to Lord Afrasastrasz, the daily quest giver on the midlevel. It seems that whatever caused the guards to spawn on him is contagious. 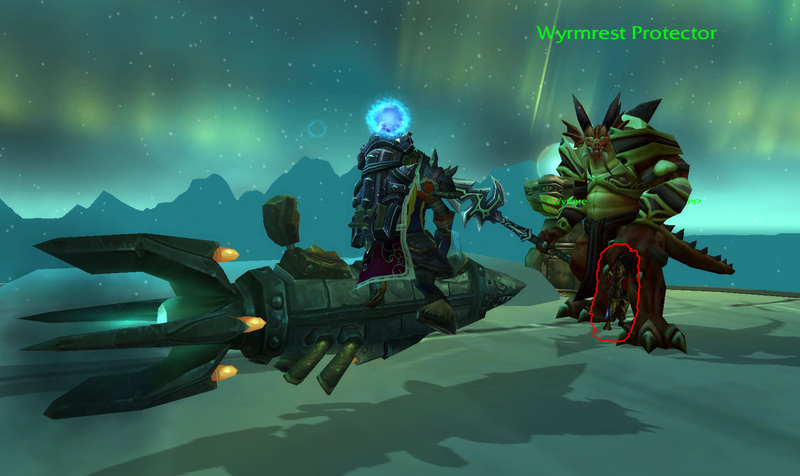 So there you have it — Cielstrasza is hiding under a dragon-type guard. 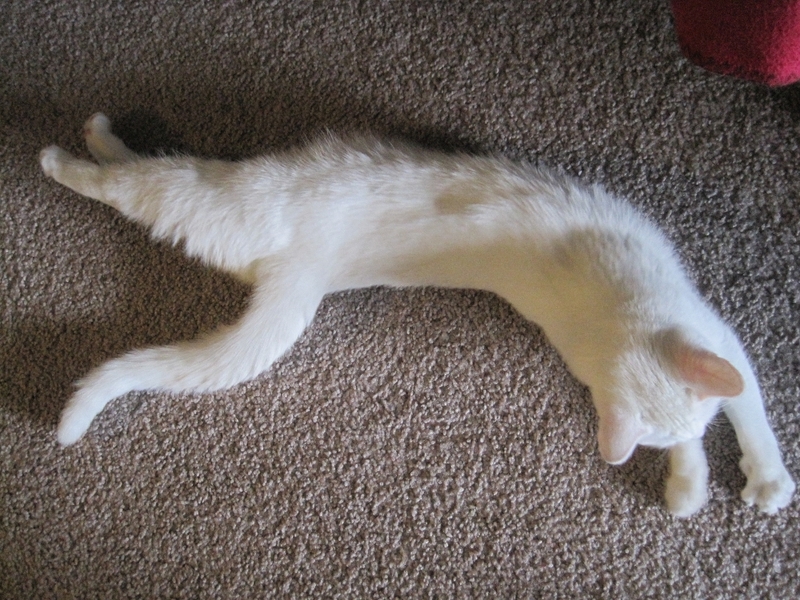 Just look for her feet! That’s the end of this Search Term Solicitation — hopefully there will be more in the future! 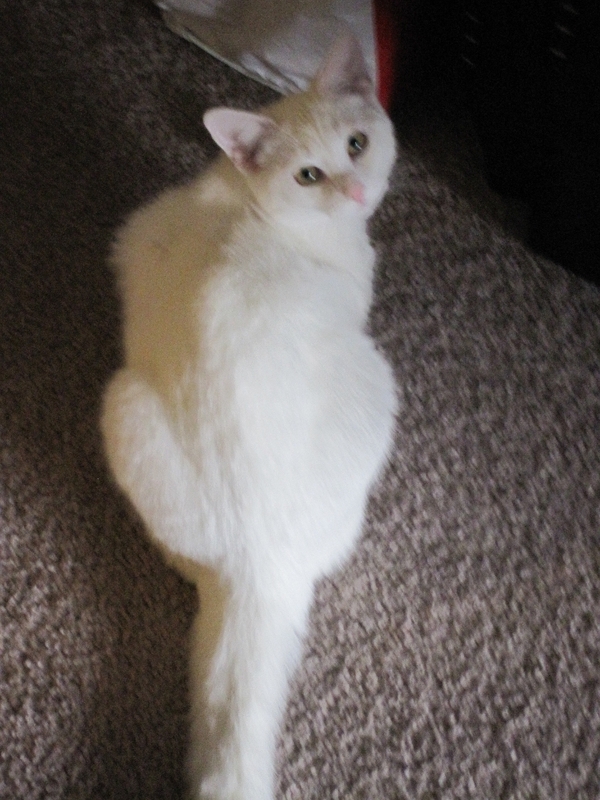 And to break up the exciting finale to “The Case of the Missing Dragon” from the footnotes I couldn’t help but add in, please enjoy these pictures of our still as yet unnamed kitty. * Not an hour all at once though. In fact, even my total might not be ‘many an hour’. But ‘many a minute’ sounds silly. ** Title worked into blog post? Check. *** Unlike all those other series of posts that haven’t become series yet. ***** You answered yes, you say? Did you cheat and look at the lower picture? If not, you win a gold star! Ah, April. It seems like only yesterday it was March (though that isn’t too far off from the truth). A month where Spring is supposedly supposed to bloom all sorts of flowers (or is it supposed to rain? Either way, I’m certainly hoping for something that is not snow). A month that contains my sister and my best friend from elementary school’s birthdays. And it apparently is a month that contains my blogoversary. In fact, my blogoversary has already come and gone. It was on April 3rd, one year ago, that I made my first post. I’ve kept myself busy, too. 56 posts written (not including this one), 108 comments made on the blog (though about half are mine), and 5,535 spam comments blocked (and counting). Not to mention the 723 tweets I’ve made on my blogging twitter account! So here’s a toast — to another year of blogging, writing, and reading! And I hope you, dear reader, will be here to enjoy it with me! 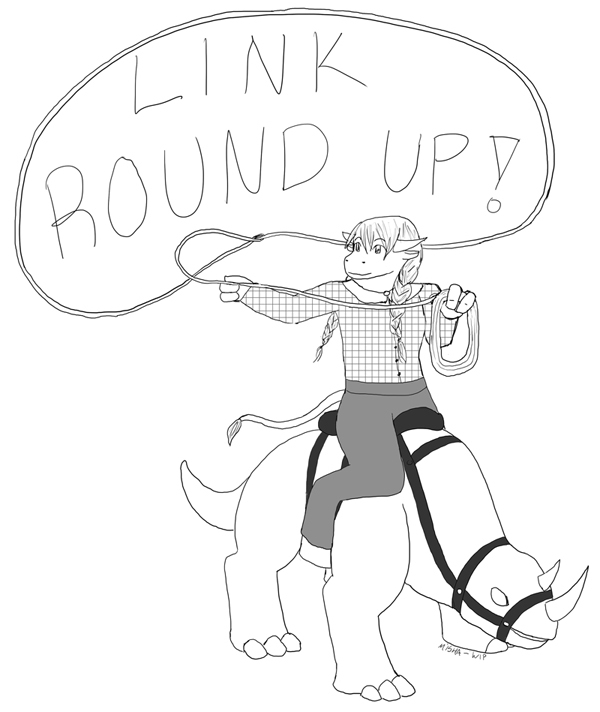 The Return of the Link Round Up! I’ve a conundrum, dearest Reader. Is round up supposed to be one word, or two? As you can tell, I’ve settled on two words, but The Internet seems to think it can go either way. Which way do you prefer? This week, in a shocking turn of events, I’ve divided the list of links into three categories, as I found quite a few of them since my last link round up post. (Maybe that isn’t too shocking). First there is General WoW News, followed by Shaman and Healing, because Shaman and Healing go together like Peanut Butter and Brown Sugar (seriously — try it. You’ll love it, especially if you like sugar. And peanut butter). Lastly, there’s news from In The Blogging World. Those are items that are more related to the blogging community than WoW itself. What, you want me to link to something? What do you think this is, a post for linking to things? No, no, there were far too many places talking about this, I simply cannot be bothered to find each and every one of those links. Now onto the links I did bother with! 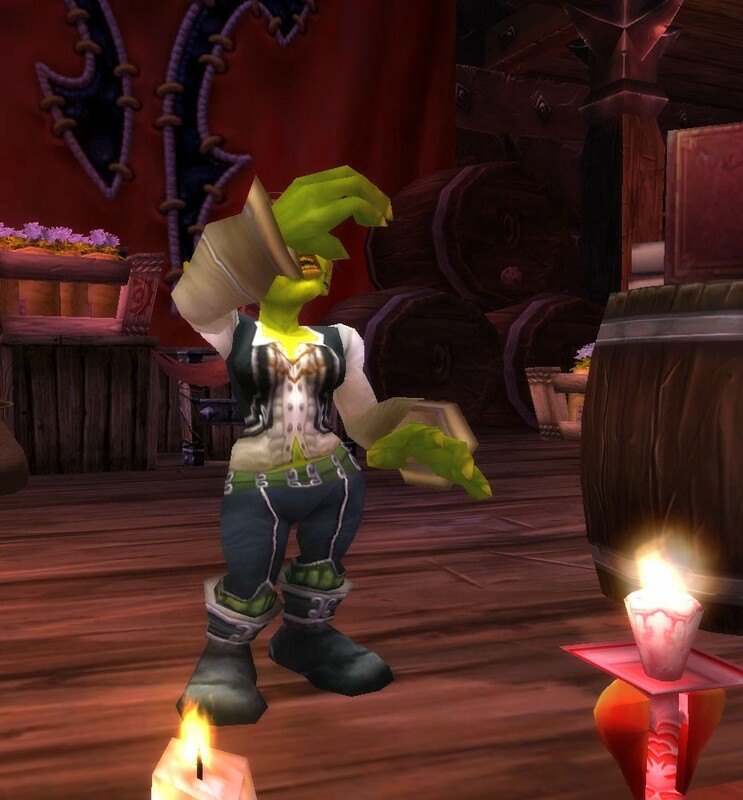 Disciplinary Action wrote a post on how you can haz WoW on your iPad (at home). I might try it out someday when I have a reason to use something smaller than my desktop/Alienware laptop. A Hasty Experiment by Beruthiel at Falling Leaves and Wings talks about Dark Intent (mm, haste), which apparently should not go to Resto Druids. 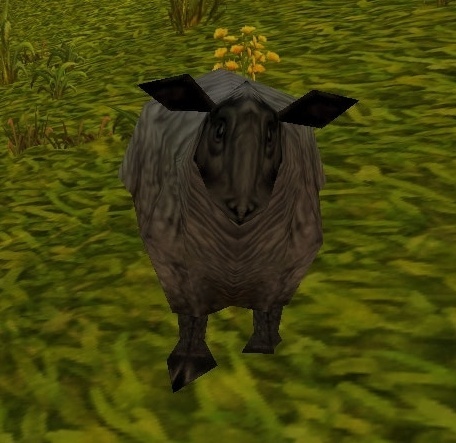 It’s a very informative post, especially for Warlocks and Druids. Beru also talks about CC, tanking, and why they won’t tank anymore. I haven’t had any major CC debacle happen to me before, but I haven’t been tanking. The situation described, however, seems like it would be very common. (As for me, I’m usually not called upon to CC since I’m healing. But if I’m told to hex something, I’m on it! As long as you keep reminding me — paying attention to marks is not my forté). I Like Bubbles talks about the BWD Elevator Boss. A boss that is so threatening, it’s kill count will soon be recorded. Even Ratshag has noted the deadliness of this boss. Twice. Need to keep up with the latest hairstyling trends? You’re in luck! Kamalia wrote an excellent Barbershop guide (for the ladies). Just click through the ten posts to see screenshots of all the different hair styles and hair colors — it’s very impressive! Thanks to the MMO Melting Pot for pointing out this gem! Shaman’s Chain Heal is apparently better with mastery than previously thought. Discovered by EJ forum goers (and what isn’t), both Totemic Grace and Totem Forest wrote up some posts on the matter. 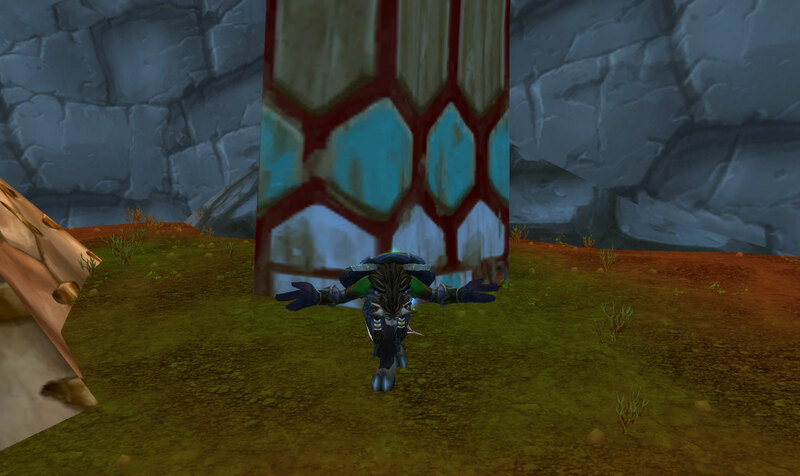 (Mastery, however, is still low on the Shaman’s stat totem-pole). Speaking of healing, Oestrus explains how the Mage talent Cauterize works, how it kills them (softly? with song? Nah, just FIRE), and what you (assuming you are a healer) can do to keep them from dying. I’d recommend reading it in case you group with a suicidal mage. Minnesota, the state of hockey. And apparently, a mysterious Shaman element. Back to more Shaman news! This one is from Kaelynn, at Shades of Kae, called The Essence of a Shaman. 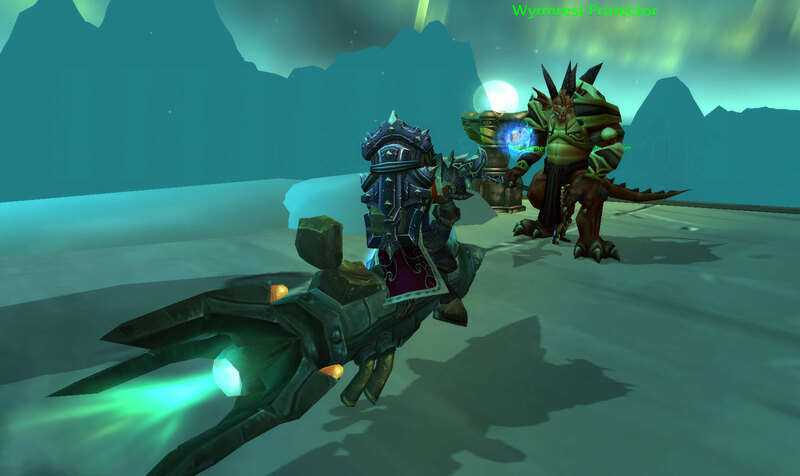 It’s a great lore-type post explaining all about Shaman; talking about the elements, races, and other things of Shaman goodness. I especially liked the mention of ‘The Wild’ spirit, which I assume is related to hockey. MMO Melting Pot occasionally spotlights blogs they recently found, as they did a little while back. There are quite a few good blogs in that post, but one that stands out in particular is Bigger Than Kologarn. The posts are hilarious! I especially liked the one where Varian has a plan. Did you know you can follow Magmaw on twitter? Glowberry knew — see their post on how you can follow everyone’s favorite* raid boss! (*Disclaimer: Magmaw may not be everyone’s favorite raid boss). Redhawk’s Gaze mentions ‘must read’ gaming webcomics. Webcomics? Must read? Yes please! I do enjoy me some webcomics — some of the gaming-related one I read are on links to the side! But wait! There’s more! What kind of blogger would I be without blatant self-promotion? Here a link to my most recent post about the Orgrimmar Auctioneers and their dislike for a certain holiday. I’m rather proud of the post, especially since it takes a lot for me to stop being lazy and write some ‘real’ fiction, so go check it out! Already read it? Click the link anyway! Not sure you want to read a long post? Sure you do — there’s chocolate!